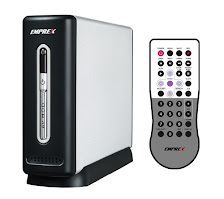 Emprex ME1 - HD Multimedia Enclosure: What Good Gear Guide says about ME1 ? ME1 got a 4 stars review by Good Gear Guide OZ. 4 Stars (Recommended) means this product has excellent features and performance.This product is good value, and rates very highly compared to its competitors.This product will satisfy user needs, lacks any serious flaws, and comes recommended.